Marci Rose remembers hearing an ambulance siren for the first time in Addis Ababa, Ethiopia’s capital city. “It almost took my breath away,” she says. A noise, taken for granted – or seen as an inconvenience – in a city like Toronto, was a joyous occasion in Ethiopia. It marked the first time emergency medical services were offered in the east African country. 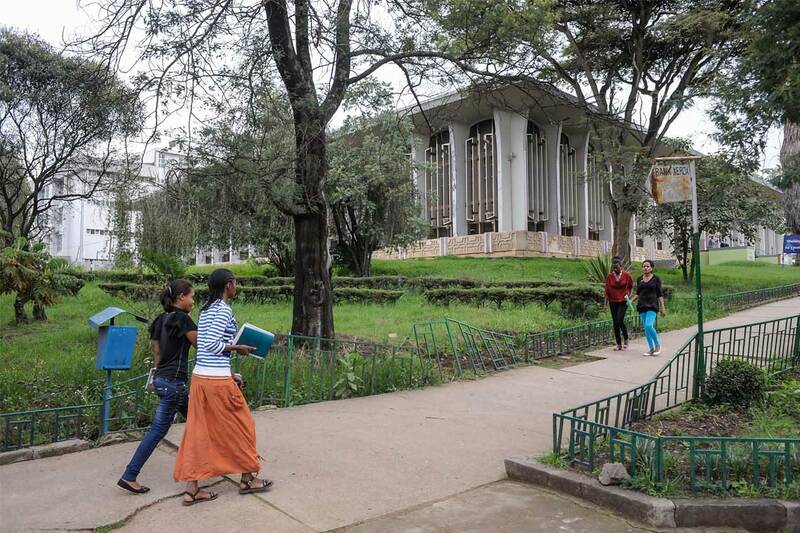 The first cohort of ER doctors graduated from Addis Ababa University in 2013. Before that, there was none. This pioneering group of life-saving physicians is one of the many successes of the Toronto Addis Ababa Academic Collaboration (TAAAC), a partnership between the University of Toronto and Addis Ababa University (AAU) where experts in both countries work to build robust graduate programs in Ethiopia’s capital. TAAAC grew out of a collaborative psychiatry program that began in 2003, led by Dr. Clare Pain, an associate professor of psychiatry at U of T and clinical director of the Psychological Trauma Assessment Clinic at Mount Sinai Hospital, and psychiatrists at AAU. It has since expanded to include 24 disciplines – from family medicine to engineering and library science – with approximately 80 faculty members travelling to Ethiopia every year to participate in the program as volunteers who provide training, teaching, supervision and support. “It's exciting to see the multiplier effect the program has had,” says Rose, who is the TAAAC program manager and the occupational therapy lead, and has been a part of the initiative since 2010. A number of spinoff initiatives have also launched as a result of TAAAC, says Rose, including cervical cancer screenings. “In Ethiopia, the greatest killer of women is cervical cancer,” she says. Previously, when a patient was diagnosed with cervical cancer, it was often discovered at stage four and already deadly, says Rose. But through a collaboration with family medicine at U of T, Ethiopian health professionals now offer screening services to catch the disease earlier on. In October, U of T Vice-President and Provost Cheryl Regehr travelled to Addis Ababa to renew the memorandum of understanding between the two universities – a pledge to keep working together, with the intention of continuing and expanding the partnership for years to come. “It's the strength of the commitment and strength of relationships that have been developed that have really made this a tremendous success,” says Regehr. While U of T faculty members and researchers come to Ethiopia to teach and train, the learning that takes place through the partnership is reciprocal, says Regehr. Ethiopia will see its first graduating class of speech language pathologists in January. The class of eight will be the first group to be certified in the country. Previously, only one person was practising speech pathology but was not technically certified, says Hillary Ganek, a research fellow at the Hospital for Sick Children who taught a course at AAU in May through the TAAAC program. “Even here in Canada, not a lot of people know what speech language pathologists do and don't think about how devastating it could be if you or a close family member can't communicate and what that means for your day-to-day, for your job and for your personal relationships,” says Ganek, who completed her PhD in rehabilitation sciences at U of T in 2017 in the Faculty of Medicine. Now, there will be speech language pathologists in Ethiopia who will be able to assist families with a range of services from speech therapy after cleft palate surgery to helping stroke patients and those with degenerative disorders like Parkinson’s and Lou Gehrig's disease. Ganek’s course was on aural rehabilitation, teaching AAU students how to work with children who have hearing loss and need to learn to listen and talk with hearing aids or a cochlear implant. “We were able to bring in some families with children and create lesson plans and go through therapy with them,” she says. Even in the limited number of sessions with the children, there were improvements in their speech, language and listening abilities, says Ganek. “I think that was powerful for the students to see,” she says. All graduates of the speech language pathology program intend to stay and practice in the country – echoing TAAAC’s high graduate retention rate of over 90 per cent.